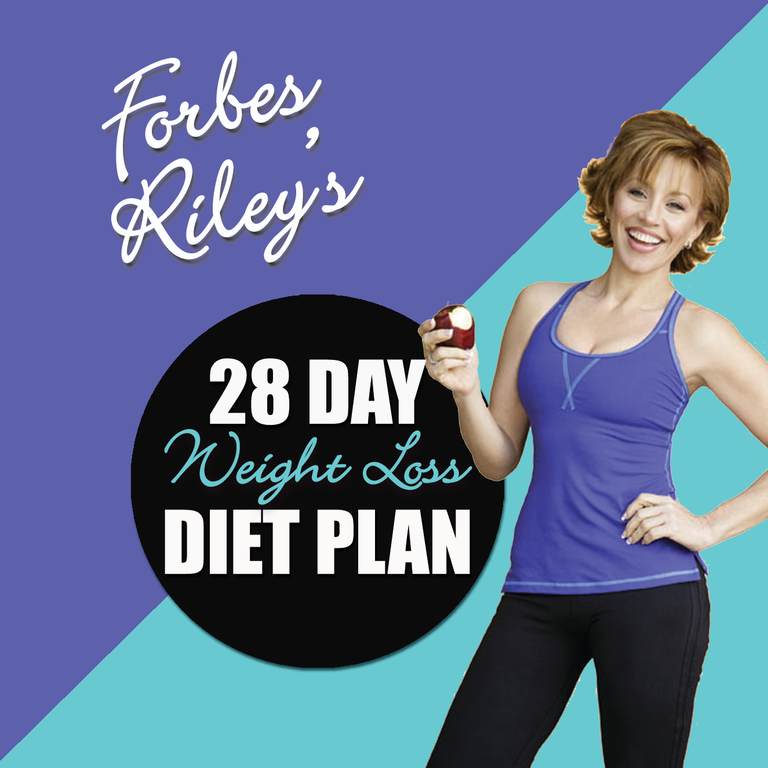 Forbes Riley is an award winning national TV host, one of America’s leading health & fitness experts, keynote speaker, author and Founder/CEO of the best selling fitness system, SpinGym. 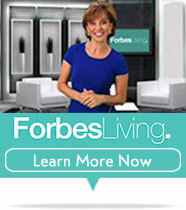 Perhaps considered one of the most inspiring people on television, stage and for her coaching, Forbes’ unique connection with her audience stems from her own personal journey towards wellness and has helped her create a worldwide brand name in fitness, personal empowerment and business growth and success. 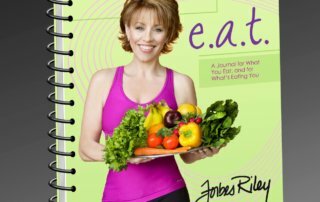 As a motivator and role model, before becoming a media success, Forbes struggled with her own weight, but e.a.t. journaling combined with SpinGym and her overall unique take on well being from mental to physical has helped her achieve her personal goals. She is now dedicated to coaching others with what she truly considers her ultimate Blueprint for Success. 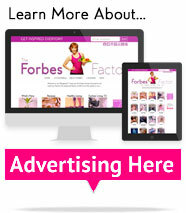 Forbes’ passion, quest for knowledge and need for truth about the human condition, energy, our bodies, exercise, nutrition and more, has served her well along life’s journey and now she is on a mission to help others eliminate the pain and suffering from poor body image to obesity, digestive and endurance issues to mental mindset and overall success and fulfillment. Forbes’ most cherished role in life will always be being the mom of two outstanding boy and girl twins, Ryker and Makenna! But, she began her career as an accomplished actress and dancer in Broadway musicals, including playing opposite the late Christopher Reeve. Soon after, her career expanded to hosting TV shows on a variety of networks: ESPN (X-Games), TLC (hosting the daily national talk show: Essentials), ABC-Family, FIT-TV, and working as an actress in movies and television (Fox’s “24” and the series lead in “Fashion House” to “Picket Fences”, “The Practice”, “As The World Turns” and many more – see IMBD for details.). 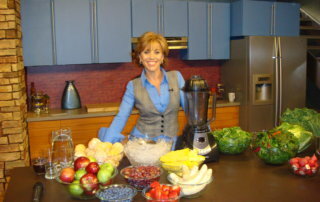 She can be seen live speaking at colleges, and seminars and nationally on WeTV with her television talk series, Forbes Living (http://ForbesLivingTV.com). For this inspirational dynamo there is no end in sight as she lives her motto, “Dream It, Believe It, Achieve” and is now on a mission to empower everyone towards their personal best in all areas of their lives! 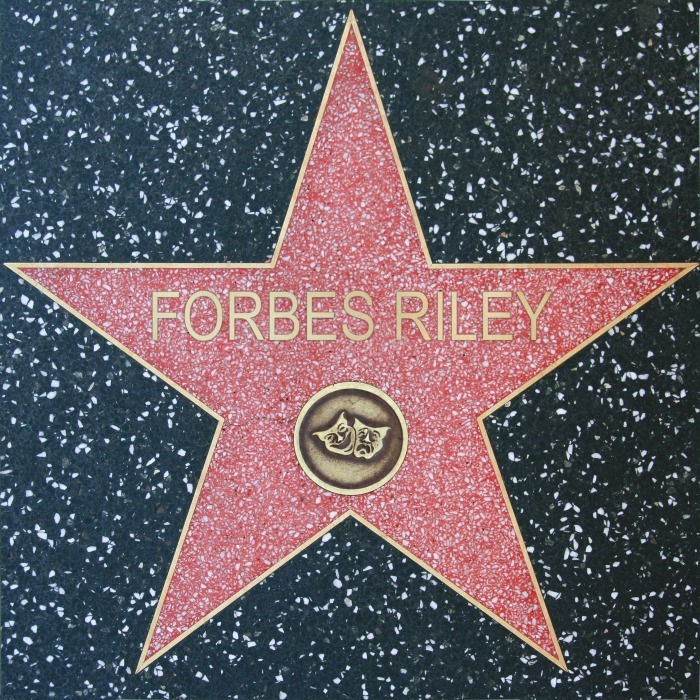 Forbes Riley’s crowning jewel in her accomplishments is her own media empire headquartered in St. Petersburg, Florida at the Forbes Riley Studios, (a state-of-the-art tv/film production studio and sound stage) and her branded line of fitness solutions from the SpinGym fitness system, to her e.a.t. Journal and online membership/coaching programs. 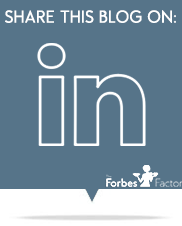 And if being an international fitness pioneer isn’t enough, Forbes now spends time teaching her other entrepreneurs the secrets and blueprints for Success. 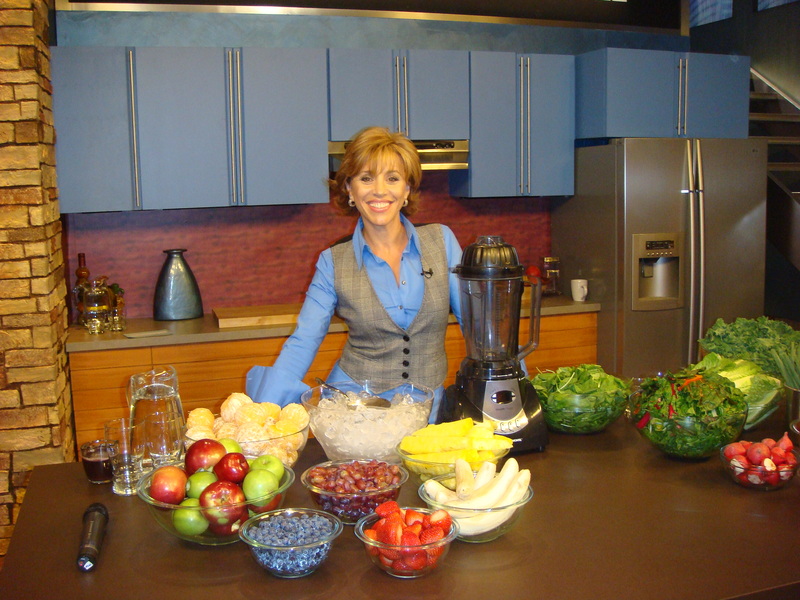 It is Forbes’ expertise in television hosting and her passion and knowledge in health & fitness that lead her to co-hosting two of the most successful infomercials of all time: The Power Juicer with fitness legend Jack LaLanne and the Montel Williams’ Health Master. In 2010, Forbes was recognized as a leader in her field and was inducted into the National Fitness Hall of Fame alongside inductees Arnold Schwarzenegger, Joe Weider and Tony Little. 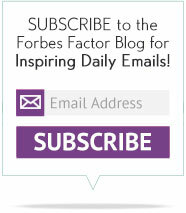 Forbes is credited for selling more than $2 Billion in health and fitness products and has received multiple Best Female Presenter and Producer ERA Moxie awards–the national awards in the industry of electronic marketing–in honor of her being one of the very best in her field. Contribution and Giving is a gift Forbes was given as a young girl when her father suffered a horrific accident and spent 3 years (her high school years) in the hospital enduring 15 operations. 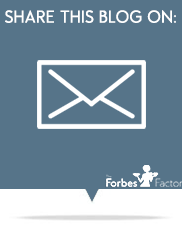 With an eye towards helping her community and those in need – Forbes is very active creating and supporting charitable solutions to help improve and strengthen all lives. 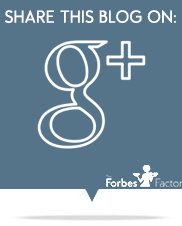 Forbes is very active with a variety of charitable organizations, including Big Brothers/Big Sisters, Wounded Warriors, Veteran WheelChair Games, Clothes to Kids, Dress for Success, SPCA, The Dexter Fund, Revlon Run/Walk for the Cure, and many more. 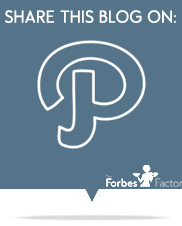 Forbes also enrolled her SpinGym business to take part in charitable giving by offering a portion of SpinGym sales to go towards supporting charitable fundraising events on a case by case basis. Giving back to help our communities thrive and grow in health and vitality benefits us all. As the 2010 National Fitness Hall of Fame inductee I am most known for being a leading authority in the health, fitness and wellness industry. 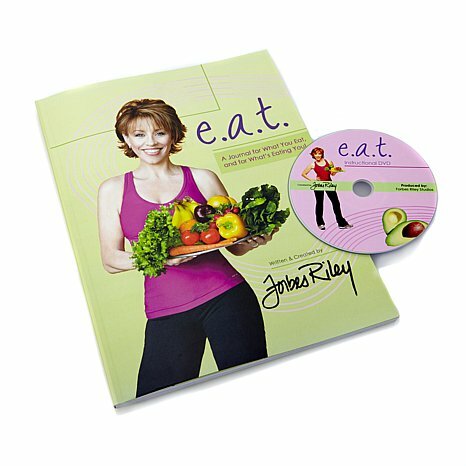 I am most known for selling more than $2 Billion dollars worth of health & fitness products on TV via infomercials and Live Home Shopping (HSN & QVC). I am most recognized from hosting the Jack LaLanne Power Juicer that aired for 8 years in 80 countries and the Montel Williams HealthMaster Blender for the past 6 years. I am also known for creating the fitness sensation SpinGym – the most unique, innovative and portable fitness product. When I launched it on the Discovery TV series PitchMen I was told it would never work and I was wasting my time – we have gone on to sell more than 600,000 SpinGyms in just 3 years. Professionally I am the health and wellness Martha Stewart! Tell us about how you got into your line of work. 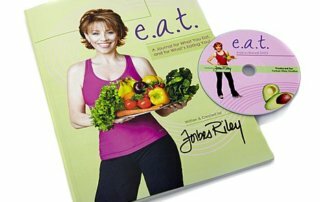 I was an actress on TV and movies (Fox’s 24, The Practice, Picket Fences) and a TV host (ESPN’s The X-Games, my own daily talk show on TLC –Essentials etc) My daily job however was to promote health and fitness products on home shopping – I have been doing it for more than 20 years. I was overweight and ridiculed most of my life in spite of my “success” and decided that after I figured out my own personal body issues that I could inspire others to get fit, happy and healthy. I began working on stage since my early 20’s (I worked on Broadway with Christopher Reeve, Bob Fosse and more) all the while fighting a weight issue. I have acted in more than 30 TV and film projects – so the short answer is my whole life!! I changed direction and began helping others transform their bodies shortly after 9/11 – I had the chance to personally survive the tragedy and have been working on this reinvention of my mission since then. Helping others. There is amazing joy watching someone come into their own, gaining confidence, and getting not only the body they’ve always dreamed of but they life they didn’t even know was waiting for them! I am most passionate about building the fitness sensation SpinGym – I have created a product that gets people in wheelchairs easily get cardio, helps women who hate their arms and find embarrassing bingo wings keeping them from enjoying their lives to giving hope to people who can’t get to the gym. I am excited to have struggled as hard as I did and make the journey to health and fitness so much easier for everyone else! A crazy desire to help others and being in front of the camera – just LOVE what I do!! Getting SpinGym from a product “no one wanted” to become an international fitness sensation. I own the company 100% and it’s all my heart and soul in the creation and execution of this dream. How do you think women have changed over the years? Regarding business, sports and fitness. Williams, Mia Hamm, Gaby Reese – both as athletes and role models. In business it still seems like a struggle to get equal pay, to get noticed for your work not how you look, but we continue to move forward. What is the number one thing you like best about being into fitness? Truly nothing tastes as good as fit feels. Most of my life I struggle with an extra 30 pounds and it was just frustrating – I tried all the popular fad diets – would lose the weight and gain back even more – finally understanding the truth about food, nutrition, exercise, and balance has changed EVERYTHING about me as a person. I am more confident, I enjoy clothes, I enjoy being a mom – and at 53 with 10 year old twins that could have been a struggle – but I am stronger, fitter and healthier than most of the other 4th grade moms – and they are younger than me! Is there anything wrong with wanting to portray women athletes, actors, etc as feminine and physically attractive? That is what has changed as I’ve gotten older. I have better balanced nutrition – eat more raw, organic foods, use spices and have noticed that I don’t have the crazy cravings I had in my 20’s and 30’s. I don’t believe in junk food as I value my energy – would you put water in your car’s gas tank and expect it to run at top quality! I do enjoy my chocolate and some sweet – but everything in moderation. 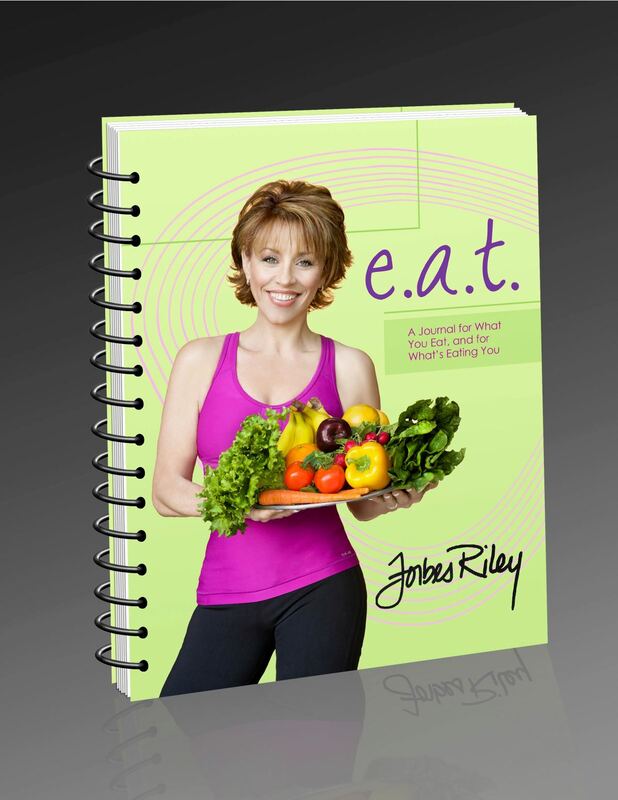 When you eat clean 80 percent of the time – you can indulge 20 percent and still stay on target! Describe a typical day for you, starting from the moment you wake up in the morning. packed protein smoothie. Get in a quick workout – always SpinGym (at least 3 times a day for 5 minutes minimum) – then there is NO typical day – some days on I’m set shooting a TV show or live on HSN – some days I have photo shoots, video workouts, magazine interviews – then there’s writing, email, facebook and phone calls – did I mention there’s no typical day. What sports do you participated in for fun? I love to ski, scuba dive, play tennis, go hiking, biking, roller skating with the kids, volleyball on the beach, swimming – everything except golf – I plan to learn when I slow down in my 70’s. Avocado, chicken, lettuce, watermelon, lemons, ginger, sweet potato, wonderful new energy drink called Celsius, pineapple, coconut water, green beans, all kinds of seafood, hummus, tomatoes, celery, carrots, beets, garlic, olives, spinach and kale. Balancing working out with work and life – that’s why I’m such a fan of my on the go SpinGym workouts. A total beginner is about 35 pounds overweight. She doesn’t really know where to start. What tips can you give her to follow the right track? 2. Start your day with a shot of apple cider vinegar followed by a big glass of water with lemon. 3. SpinGym 3 times a day for ONLY 5 minutes at a time – boost your stubborn, sluggish metabolism. You will double your heart rate in less than a minute and start to become a fat burning machine not a fat storing machine. 4. Drink a healthy green super food drink and get your ph back in balance. Find a buddy – accountability is very motivating! 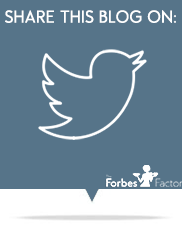 I recommend joining my community at www.fitwithforbes.com – I have 20 hours of education tips on food, nutrition, diet, exercise and so much more – you need good information – not fads! What tips do you recommend for eating out at restaurants to make sure we don’t gain too much weight/fat? Let your dessert be a hot cup of green tea! What are your top tips for developing toned and defined arms? Specific exercises, diet advice, etc. For arms – there’s only 1 thing I recommend – www.SpinGym.com tightens tones fast and deeper than resistance bands or dumbbells – my DVD routines are designed to sculpt not bulk! What are your top tips for losing unwanted body fat? Specific exercises, diet advice, etc. Amp up your metabolism – with clean eating and short burst exercises throughout the day. What are your top tips for staying motivated on a fitness plan? Follow www.FitwithForbes.com — why – because I offer mental motivation – physical is only a small part, but cracking the mindset of what is holding you back is the key to all your success in life. What is your training routine like? Please include a few details. Honestly the best is to turn on the music (in my house, iPod) and just DANCE! What is the best way to get started in your industry? I am professional TV host who also markets on TV. To get to my position you need to train in speech, presenting, improve, and perhaps a bit of acting – I run a workshop 2 times a year in Tampa to coach people who dream of hosting on HSN/QVC, an infomercial, TV shows like EXTRA and ET, newscasters and more. What is the best way towards becoming a personal trainer? You have to love fitness and people – so many certifications and conventions around the country. Have you suffered any injuries? What injuries? I torn my left knee’s ACL in a skiing accident in the 30’s and had replacement surgery – worst year of my life – rehab was insanely painful, constant having to break up scar tissues and learn to us my leg again. Thanks to SpinGym (which you may have only thought was upper body) I have conditioned my quad and hamstrings better than they have EVER been. Isn’t it hard to stay fit? How do you manage that?! Hard to do anything is a mindset. It’s just a part of my happiness to be fit so I workout daily, eat clean, hang out with positive people and stay focused on the dream. What is the most difficult part of starting your business? Having people believe in you. What do you consider to be success as a business owner or entrepreneur? Making positive impact on people’s lives and having them understand and achieve a new level of happiness. Financially to take care of all those around me from family to employees. What’s your least favorite part about being a business owner or entrepreneur? You are always responsible for everything – the smartest thing you can learn to do is delegate, surround yourself with smart, capable people and trust. What’s the biggest thing you struggle with as a business owner or entrepreneur? Staying focused – as a mom I want to run off and play with the kids, fool around on facebook – it’s hard when you’re the boss – but I also would NEVER change it! How do you think running a business or being an entrepreneur has made you a better person? I am more compassionate, patient and committed to helping others. What’s unique about the service that you provide? My company and mission is “whole body” – I don’t JUST offer a fitness product but a lifestyle solution. Do you have any of your own branded products? If so, what are they? SpinGym is the most amazing fitness training product – portable, compact but more effective and toning, tighting and burning calories that almost anything on the market – PLUS you don’t have to be in the gym to do it. I also offer amazing transformational coaching that has not only changed people’s bodies but inspired them to become millionaires. 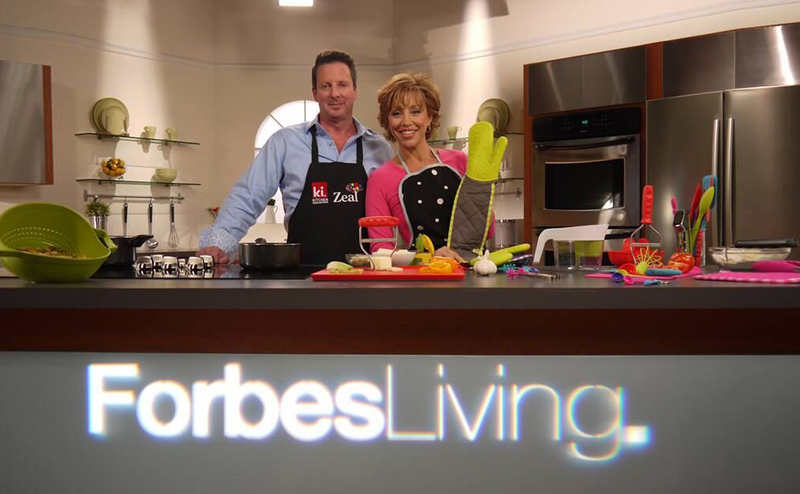 I take inventors products onto a TV platform from infomercials to home shopping and SO MUCH MORE – my masterminds and coaching are second to none! Obi Wan Kanobi or James Bond. What things do you believe differentiates you from your contemporaries? I am the health and wellness Martha Stewart – with creative innovative products and solutions to make you life better, happier and healthier. Meeting Jack Lalanne and spending more than 8 years working alongside him has been my greatest influence – he was sold health, food and exercise conscious mixed with being a smart entrepreneur and a family man – a hero on every level. If you could paint a picture of any scenery you’ve seen before, what would you paint? The mystery of Lake Powell – amazing mountains with pristine water – it was unearthly looking – another was the 2000 ft sea wall behind the water off of Turks and Caicos – the most beautiful colored water, a rainbow of fish and sea life mixed with plants – like being INSIDE a magical fish tank! What are some goals you are still trying to accomplish? 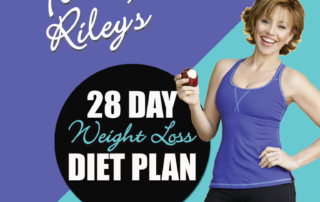 To get back on National TV with a studio audience devoted to health and wellness – like Rachel Ray, Dr. Oz and Martha Stewart. To dream bigger than you ever imagined and enjoy the results – the Law of Attraction works miracles. Start at my memorial and work backwards. What else would you do if you weren’t in your current line of work? Can not even imagine why I would do anything else. Almond milk, pineapple, watermelon, ice tea, white wine, broccoli, lettuce, carrots, cucumber, beets, garlic, ginger, onions, frozen grapes, apple cider vinegar. If you had the opportunity to get a message across to a large group of people what would your message be? Motivational, inspiring stories, business books and the occasional rag magazine you find in the grocery store – love pop culture and dichotomy. The full gamut – music is my lifeblood and the backdrop to my days and nights – from romantic to rock n roll – I stretch to music in the morning – workout to cranking beats, then love to dance at night – from classical to rap and everything in between. Describe your parents, what are they like? They were married for 40 years – loved me so much, so supportive and I am the luckiest kid ever to have known them. What were your dreams as a child and did you achieve any of them? 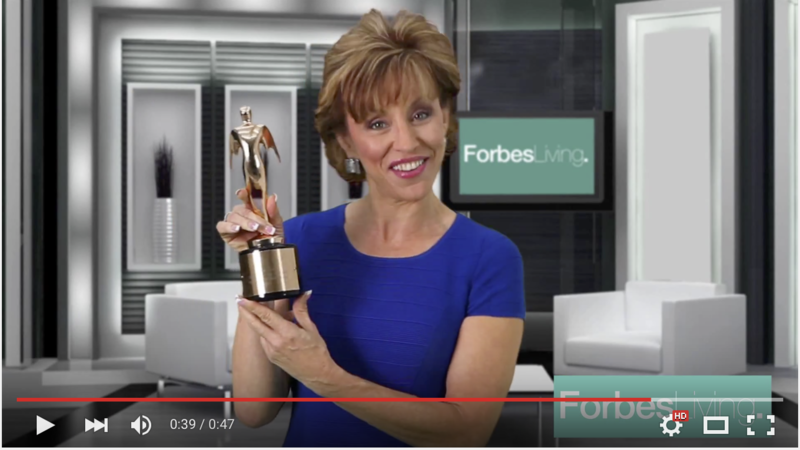 To dance with Fred Astaire – and I did as a guest at the 50th annual academy awards in Los Angeles! Tell us a time in your life that was a time you’ll never forget? Working at club med in my 20’s – I worked all around the world, scuba dived in amazing places, learn to ski, speak French, create shows – it was so carefree yet FILLED with adventures. What things do you find yourself doing that you said you’d never do? What are some qualities that you value in a person? Humor, passion, commitment, focus, vision, integrity, compassion, joy. Starman, The Year of Living Dangerously, Butch Cassidy and the Sundance kid, Roman Holiday, West Side Story – and 5000 more – I love my movies! Can’t forget James Bond flicks, all of Steven Spielberg and Hitchcock! And my favourite: Splatter University because I star in it back in my early 20’s – todays it’s a classic cult – go figure! Child of the 60’s : Man from Uncle, Betwitched, The Monkees, Partridge Family, and It Takes a Thief Today: Revenge, Desperate Housewives, Falling Skies, 20/20, Dancing with the Stars. What do you enjoy doing on a Sunday afternoon? Kids, park, rollerskating, movies, jet skiing, bike riding, and every once in a while just sleeping in. You are stranded in the Amazon rain forest. What 3 items would you want to have with you and why? A really talented tour guide – I failed survival class so he would come in handy. My iphone – great photos, videos and perhaps if I could get a signal I wouldn’t be stranded and a SpinGym – go for staying fit and warding off dangerous creature (you can hit them!). Is there anything in particular that you wish you could do over? What is it? My 5th grade math class – only “B” I ever got! What personality traits in your mind are best suited for your job, career, etc? Quick wit, gift of gab and a crazy sense of curiosity and mischief. Fresh brewed iced tea black or green over ice! Name a movie that touched you in some way. Sophie’s Choice – I am a mom of 2 and the thought that anyone would have to choose would have driven me insane as well – I get physically ill at just the thought of that! When in life have you felt most alone? Why? At my mom’s funeral – my dad has also recently passed away and the thought of being orphaned and missing my best friends for the rest of my life was overwhelming – it has taken years to grieve and every once in a while I will still just cry cause I want my mommy! The need to get exciting new products in people’s hand – I’m relentless but I love it! Why would someone not want to work with you? Because I work at 110% and demand that of everyone around me – you to be driven and passionate to want to work with me – but I also play hard and love to have fun – if you don’t see the magic in life – you won’t be able to hang wit me! What activities did you enjoy in school? Loved being in the theatre, was an A+ student who skipped a year of high school and graduated college in 3 years with 2 degrees. To be invisible at will. As a passionate, energetic role model for women who was also a kickass mom! Leap and the net will appear. You are the sum of the obstacles you overcome. My smile – after 8 years of braces – I am proud to show off my teeth – but I just genuinely love life and get great compliments on my smile – it comes from the heart! On March 20th 2013 I almost died in a NYC hospital 2000 miles from home when a huge kidney stone (my first ever) blocked my tubes, my blood was septic, I had emergency surgery and they weren’t sure I would make it – 4 ½ days later – I was out of the woods – but more grateful than ever to see my family and get back to my mission! What makes you uncomfortable, besides these questions? Sitting on long plane flights – so fidgety and the seats are NEVER that comfortable – I fly 2 to 4 times a month – and the TSA, security, screening – really!!?? If you could change something physical about yourself, what would it be and why? I’d have bright blue eyes like my son! Besides money, what are your favorite ways to compensate people? SpinGyms – oh you saw that coming – okay – gift cards. We just started raising chickens at home – seriously something new – but loving the fresh eggs – they are blue – you heard of green eggs and ham – I gotcha beat. What is one thing you are not? My children (daily), great comedians (love jokes) and taking life too seriously – it makes me laugh a lot. Aside from these questions never ending – sharks – I live on the water – Tampa Bay is infested with sharks – makes water skiing with kids freaky. What would be the first thing you would do if today was your last day? Eat a HUGE container of Hagen Daz vanilla ice and kiss my kids till my lips fell off! What’s your vision of a perfect society? What’s something you check daily? 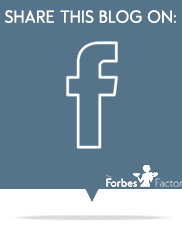 Facebook – committed to my virtual world – love it – then emails – don’t really love them but a necessary evil. What’s your own definition of happiness? Inner peace, knowing everyone in my life is happy/healthy and that I’ve done something to inspire someone. Happiness is a simple state of enjoying the moment – no worries. Which famous person would you like to interview and which questions would you ask him/her? Joseph Pilates – the godfather of creative, innovative fitness. How did he come to such profound knowledge of the human body and I’d love to show him just HOW popular his dream became because during his lifetime he could never had imagined such global success – its what gives me hope about what I’m doing! If you could choose to be born with a particular natural skill what skill would it be? I so wish I could sing~ to stand on a stage in front of 10’s of 1000’s like Beyonce, JLO, Tina Turner and just entertain with your voice – I just can’t carry a tune and do NOT ask me to karaoke!! What advice would you give someone who wanted to do what you do? Read my book – its way too complicated for here – lots of skill, timing, luck, passion with a dose of not living in the real world!! It’s the reason I offer private coaching – I can get someone to achieve THEIR inner greatness and success but like any accomplished world class athlete do NOT expect to do it without a coach. While you are watching TV in your home a penguin walks through the door wearing a sheriff’s hat and badge. What does he say? Stop drinking those double tequila margaritas because you’re seeing a penguin in a sheriff’s hat and badge. Do you have any secrets you want to share with the few of us reading this? We won’t say anything….promise! Then it wouldn’t be a secret then would it! But here goes – in my 20’s I delivered singing and stripping telegrams – true story! Are there any words of wisdom you’d like to pass along to us? Dare to dream~ and dream bigger than you imagine possible! Did you enjoy answering these questions? On a scale from 1 – 10. 1= I hated it. 10= I really enjoyed it.